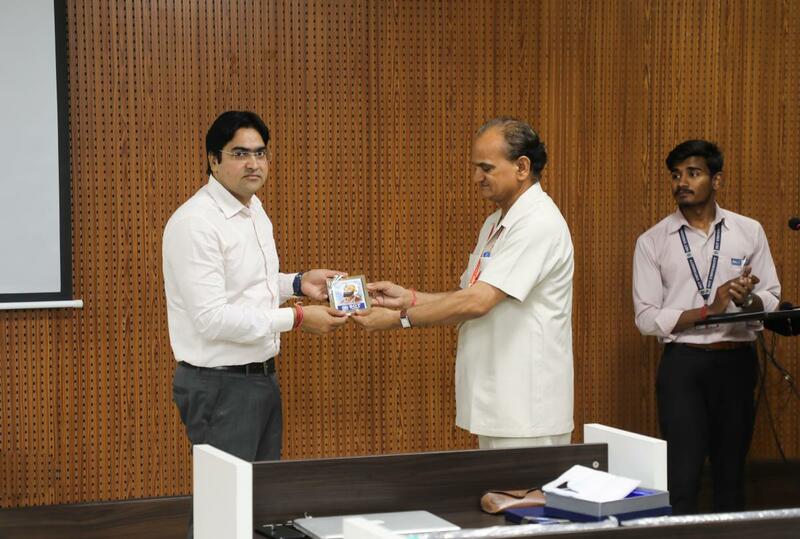 A Guest Lecture was organized by Department of Physics, Faculty of Physical Sciences, SGT University Gurugram on Monday, 23rd April, 2018 with the consideration to innovate our students about latest research and development activities in Semiconductor Physics. To deliver the talk Dr. Sunil Sharma, Scientist D, from the world renowned research laboratory “Solid State Physics Laboratory (SSPL), Defense Research & Development Organization (DRDO), Delhi has been invited. Dr. R.C. 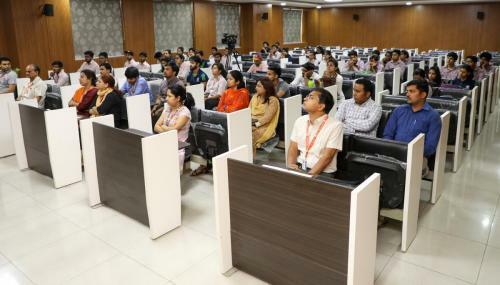 Sharma, Professor & Head/Dean, Faculty of Physical Sciences briefly introduced the Guest speaker to audience. 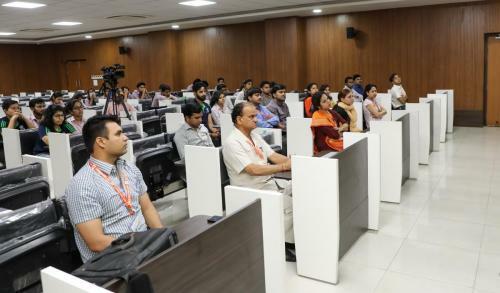 He also requested Dr. Sunil Sharma to accommodate, the research scholars of SGT University for their experimental work in SSPL/ DRDO. 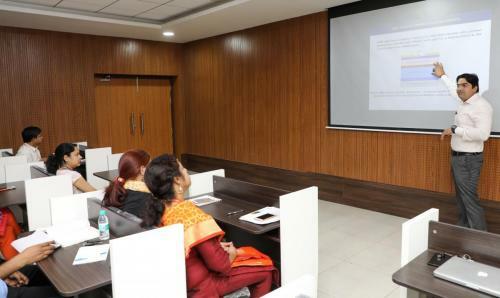 Then he invited Dr. Sunil Sharma to deliver his talk. In his deliberation, Dr. Sunil Sharma told that, why I have selected this topic? It is because, these devices are the main component for high power and high frequency operation in defense and space communication field and are future requirements, mostly in the fighter aircrafts, space shuttles, satellite communication and Radars. He explained that how GaN material is more suitable in making high power and high speed electronic devices in comparison to other semiconductor materials. He also discussed, the basic technologies involved in fabrication of these devices. 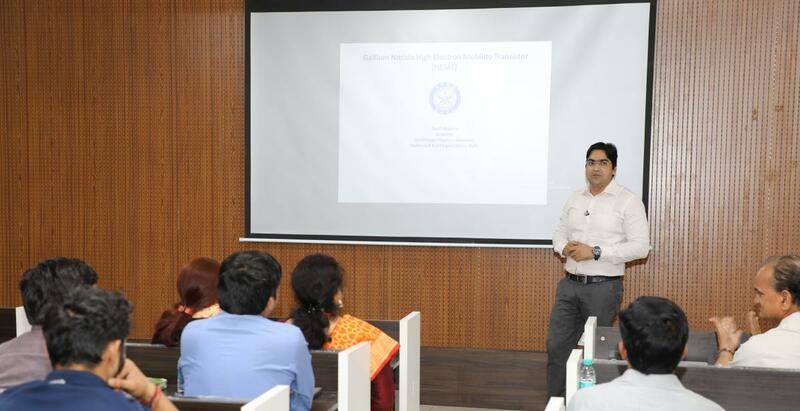 Our students had a very informative and interactive session with Dr. Sunil Kumar, where they were motivated to select research as a career. Students gained experience of how the research activities are executed. Such activity develops the sense of responsibility among the students and make them confident to work in a learning environment.